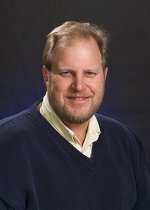 Pacific Northwest National Laboratory's Dr. Bruce D. Kay recently accepted appointment to the Basic Energy Sciences Advisory Committee. This committee helps solve complex scientific and technical issues for Basic Energy Sciences, part of the U.S. Department of Energy's Office of Science. Through BES, researchers expand the scientific foundations for energy technologies and understand and mitigate the environmental impacts of energy use. As a part of the 25-member committee, composed of experts from academia, national laboratories, and other institutions, Kay will provide recommendations on research and facilities priorities, appropriate balance among scientific disciplines, and collaboration among research institutes and industries. Undersecretary for DOE's Office of Science Dr. Raymond Orbach selected Kay for this assignment. Kay was chosen for his internationally recognized leadership in the chemical sciences. His research at PNNL examines condensed phase chemical kinetics and molecular dynamics aimed at gaining a detailed physical understanding of the molecular-level interactions responsible for phase transitions and catalytic chemical reactions. A Fellow of the American Physical Society, AVS: Science and Technology of Materials, Interfaces, and Processing, and the American Association for the Advancement of Science, Kay has written more than 120 journal articles and technical reports and given nearly 200 invited lectures at forums around the world.